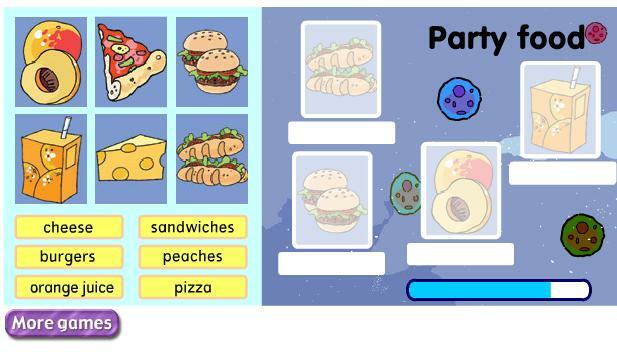 Fun matching game for you to learn and practice food vocabulary. These are foods you might eat at a party. Click and drag the picture and word to appropriate spot. Great pronunciation practice, too!